I wanted to start this by apologizing for not posting over the past week or so. I actually had the last family wedding the weekend just gone, so spent the week in London but I'm back. So a few weeks ago, I said I wanted to include more lifestyle/getting to know me posts and started with 5 Ways to Win my Heart. This time, I'm going to make it a bit more fashion related with my 3 favourite clothing brands. Surprisingly I haven't actually been clothes shopping in ages. If only you knew how proud I am. Although I have been makeup shopping. Still pretty proud though. There are still those couple of brands I will always buy when I'm out shopping. Without a doubt my favourite clothing brand. It's so affordable, the quality is great and they have something for everything. I'll never walk out of a H&M store empty handed. I particularly love their dresses. I've bought so many from there and they have a great range; from casual day to dressed up night. I even love that they have basic dresses. 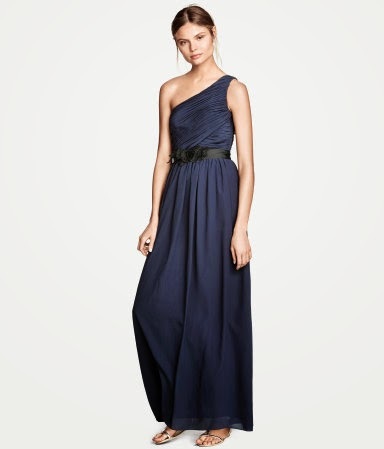 From a quick glance at their website, I loved this long blue dress. I've noticed H&M have started to do a lot more evening long dresses and for £17 on sale as well you can't really go wrong with this. I hope this counts. But Boohoo.com has literally taken over my life for past few months. It's such an amazing online website. Affordable, practical, great quality etc... It's great for casuals, basics, everyday and for going out, party, prom, evening wear all at great prices. I've bought so much from this website since starting uni as it's just something I can actually afford. (As a treat though.) They have such a good basics range; crop tops, dresses, maxi dresses, tees... And I actually bought one their crop tops to try and loved it. It's so soft to wear, fits perfectly and even after being washed still feels great to wear. It's a great purchase and for £5 you definitely need to try one. 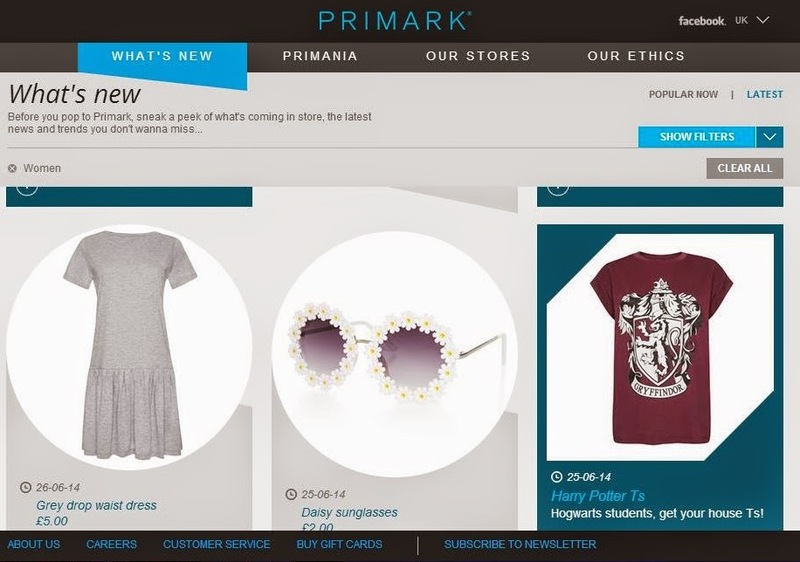 I know there will be so many people that disagree with me when I say Primark is one of my top 3 clothing brands. But I still go back to Primark to see what they have. They're particularly great for basics like cami's and plain vest tops and t-shirts. The one thing you can't go wrong with from there is PJ's. They have the cutest designs and even if you just buy the tops you can mix and match with ones you have at home. Even though Primarni (as I call it) it getting a little expensive, it's still the same price as H&M so I wouldn't mind spending there either. H&M, Boohoo and Primark are my top 3 clothing brands. They're definitely the 3 brands I buy the most. What are your top 3 brands?